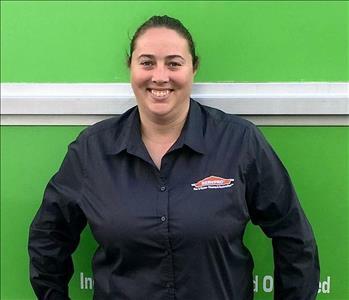 Meghan Hollis is the General Manager of both of our SERVPRO franchises which when combined cover Scripps Ranch, Mira Mesa, Rancho Peñasquitos, and all of La Jolla. 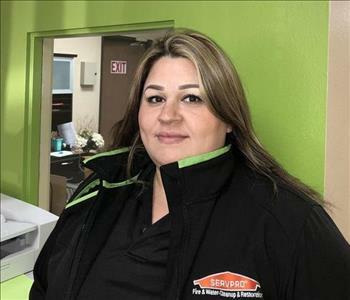 She was born and raised within the SERVPRO family which instilled compassionate customer service, inclusive team/project management, and hard work as foundations of her career. Meghan obtained a Business Administration Bachelor’s Degree in Management and Marketing at Regis University in Denver, Colorado. Meghan also holds titles as a Licensed General Contractor with CSLB, Water Restoration and Odor Control Technician certified by The Institute of Inspection Cleaning and Restoration Certification (IICRC), and Certification in Successful Subrogation among other titles. She may not have a formal degree in helping to clean, store, and organize the contents of people’s homes after a loss but she deserves an honorary doctorate in it. It is Meghan’s broad knowledge and time in the field that earned her the trust and loyalty of our customers, contractors and adjusters. Contact Meghan by email at: meghanh@SERVPROlajolla.com, or by phone at 858-270-5234. 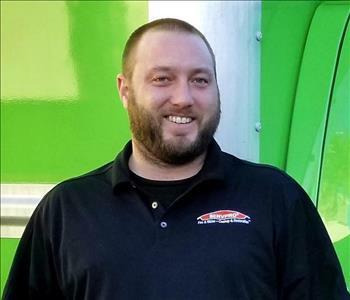 Andrew Edwards is the Director of Operations of both of our SERVPRO franchises which when combined cover Scripps Ranch, Mira Mesa, Rancho Peñasquitos, and all of La Jolla. He started from the ground floor as a Technician where he perfected the labor intensive art of restoration, remediation, and mitigation. Impressing many with his comprehensive knowledge and knack for the operational and logistical aspects of this industry Andrew has climbed the ladder to Operations Manager. Andrew has added to his field training in many ways including his Water Damage Restoration Certification certified by The Institute of Inspection Cleaning and Restoration Certification (IICRC). Andrew’s Level Two Certification on Xactimate and Successful Subrogation Certification shows as he is an expert at preparing the reports that are vital to insurance claims. He makes it a point that it is not the reports and numbers that drive his career and our office as a whole. 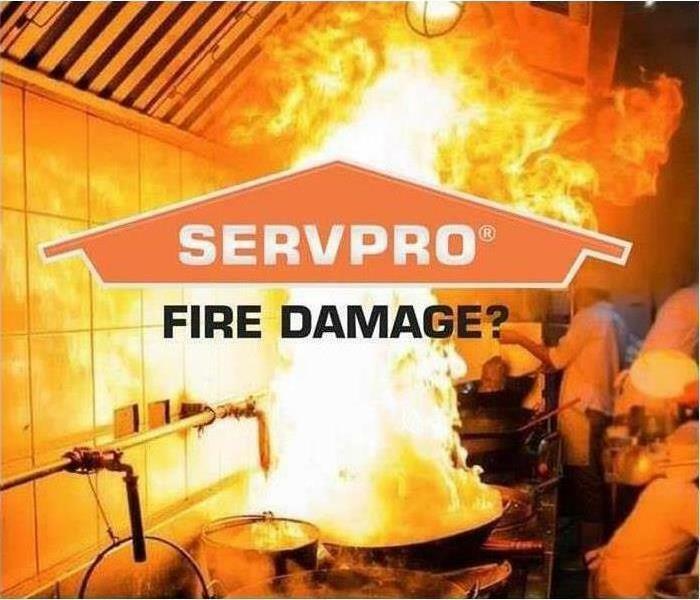 His focus is always on helping our franchise to provide the very best services to the community which has fostered steadfast relationships within our SERVPRO community. Contact Andrew by email at: andrewe@SERVPROlajolla.com, or by phone at 858-270-5234. Rory Hollis is the Marketing Manager and Director of Business Development of both of our SERVPRO franchises which when combined cover Scripps Ranch, Mira Mesa, Rancho Peñasquitos, and all of La Jolla. 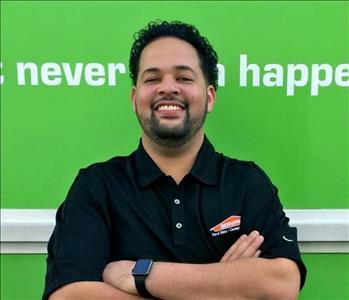 He began working in SERVPRO Community as a Technician at a young age as he was born and raised within the SERVPRO Family. Rory has exceled in all positions on his climb but it is his hardworking and collaborative nature that propelled him to where he is now. Always working to expand his outreach into the community he is an active member of industry networking groups including the San Diego Chamber of Commerce, the San Diego Insurance Adjusters Association (SDIAA), the Commercial Real Estate Development Association (NAIOP), and the Risk Management Society (RIMS). Through those groups and his own network Rory is always driven to acquire developing industry knowledge and develop long standing relationships. Relationships built on trust so that when someone’s time of need comes they know they can trust SERVPRO to be there to help. 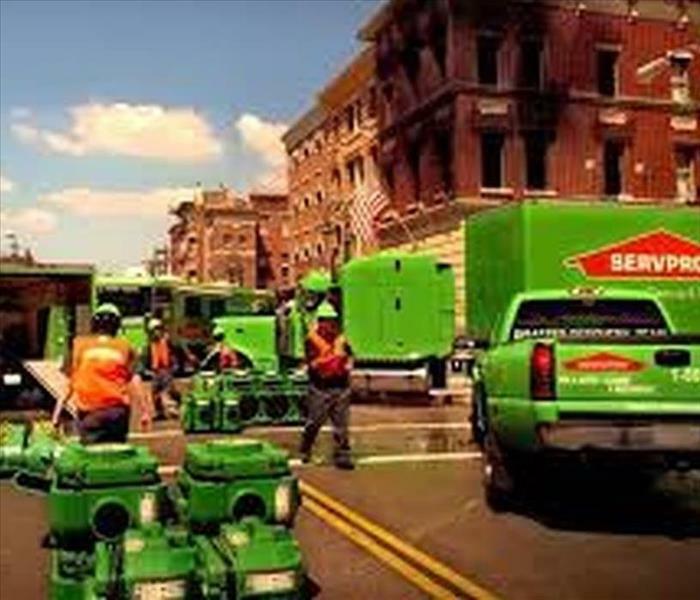 If that is by reassuring them that SERVPRO will answer the call in the middle of the night when a loss happens, or by way of his work in leading our Community Outreach Events (check out our blog for the latest). 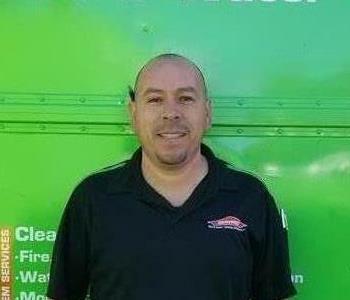 Roger Mejia is the EMS Superintendent of both of our SERVPRO franchises which when combined cover Scripps Ranch, Mira Mesa, Rancho Peñasquitos, and all of La Jolla. He is the primary point of contact for clients and their adjusters. Roger addresses each service with care and an outstanding attention to detail to both the needs of the client and the field technicians. With over 15 years of experience in this industry Rodger directs our field teams with confidence and leadership. He holds certification in both Water Damage Restoration and Applied Structural Drying by the Technician certified by The Institute of Inspection Cleaning and Restoration Certification (IICRC). 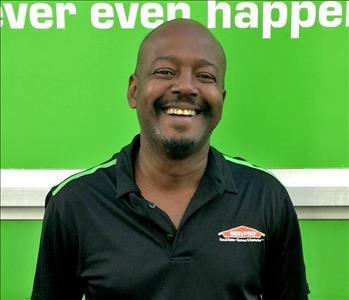 Darryl Williams is the Operations Manager of both of our SERVPRO franchises which when combined cover Scripps Ranch, Mira Mesa, Rancho Peñasquitos, and all of La Jolla. With over 15 years of experience in this industry his well -developed skills and knowledge of project needs are indispensable. His previous position gave him extensive understanding of carpet repair and instillation that are extremely valuable in many of our services. He holds certification in both Water Damage Restoration and Applied Structural Drying by the Technician certified by The Institute of Inspection Cleaning and Restoration Certification (IICRC). Here at SERVPRO of Scripps Ranch/Mira Mesa/Rancho Penasquitos, Yukon serves as our Mascot. He has very extensive Water Mitigation training and is active on our Storm Team which includes 2017 recovery effort for Hurricane Harvey. His responsibilities include office happiness, motivational barking (mostly at the mail man), snack finding and clean-up (from lunch). As head of HR (Humane Resources), he ensures that everyone in the office received weekly reviews (of his drool marks) and daily check-ins (for treats). This old man brings joy to the office everyday. 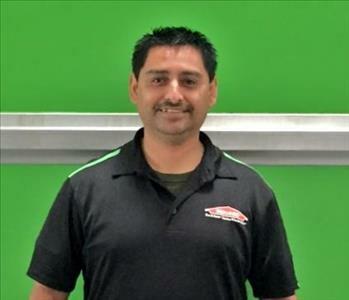 Benjamin Dorado (Benny) is the Production Manager of SERVPRO of Scripps Ranch, Mira Mesa, Rancho Peñasquitos. With over 15 years of experience in this industry he has cultivated a talent for customer service, earning the trust and loyalty of our customers, contractors and adjusters he works with. He holds certification in both Water Damage Restoration and Applied Structural Drying certified by The Institute of Inspection Cleaning and Restoration Certification (IICRC). Esperanza Navarro is the Contents Manager for SERVPRO of Scripps Ranch, Mira Mesa and Rancho Penasquitos. She brings over 12 years of experience in this industry, in which she has cultivated trust and established long-term relationships with adjusters and contractors she has worked with. She is the primary point of contact for clients and their adjusters, ensuring the needs of the homeowners are met. Esperanza is very successful with managing our contents department. She specializes in not only contents manipulation and pack-outs, but also general cleaning, post construction cleaning, fire damage cleaning and biohazard cleaning. Esperanza addresses each service with care and outstanding attention to detail to both the needs of the clients as well as the field technicians.